East Japan Railway Co. (JR East) launched a escalator safety campaign at its stations Monday after seeing about 180 accidents in fiscal 2017 and some deadly cases before that. This is the first time the railway has disclosed a tally for escalator accidents. Dangerous incidents included a drunken passenger who tripped, a person being hit by a falling suitcase and someone’s clothing getting stuck in the escalator. 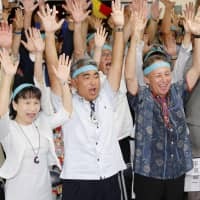 The campaign, which calls on passengers to use the handrails, will be jointly promoted by more than 50 railways across Japan until the end of August. 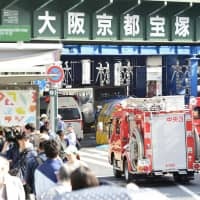 The deadly cases included one in June 2008 in which an intoxicated man fell from an escalator at Shinbashi Station in Tokyo. Another saw a woman in her 50s choke to death in March 2009 after her scarf got caught in an escalator at Mito Station in Ibaraki Prefecture after she tripped. 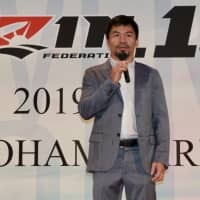 People tumbled like dominoes in Yokohama in December 2010 when a woman ascending an escalator at Hodogaya Station suddenly fell backward near the top, bowling over four people behind her and causing injuries to their backs and knees. 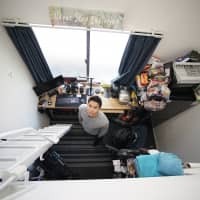 In December 2012, two people in Chiba Prefecture were injured when an escalator came to an emergency stop in Nishifunabashi Station when its chain snapped. 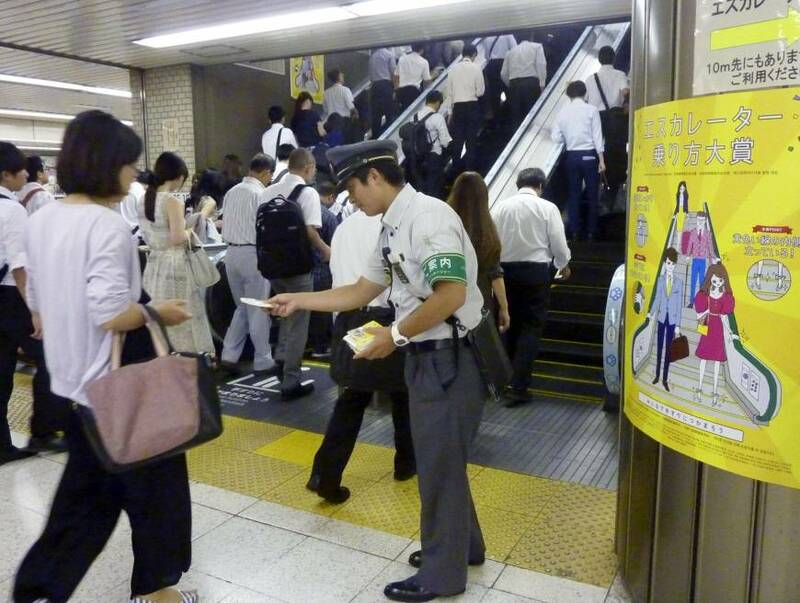 JR East employees at Tokyo Station on Monday were seen distributing tissues with leaflets asking commuters to use the handrails. “We have to ensure no accidents happen so passengers can get to destinations without any trouble. 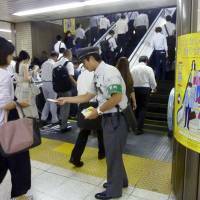 We ask for their understanding and cooperation,” said Yuya Mochitate, a JR East official in charge of the escalator campaign.